We’re feeling the the undeniably pull of attraction to visit Woolsthorpe Manor deep in the rural Lincolnshire countryside, a site of scientific interest for it is the birthplace, family home to Sir Isaac Newton and the home of gravity. 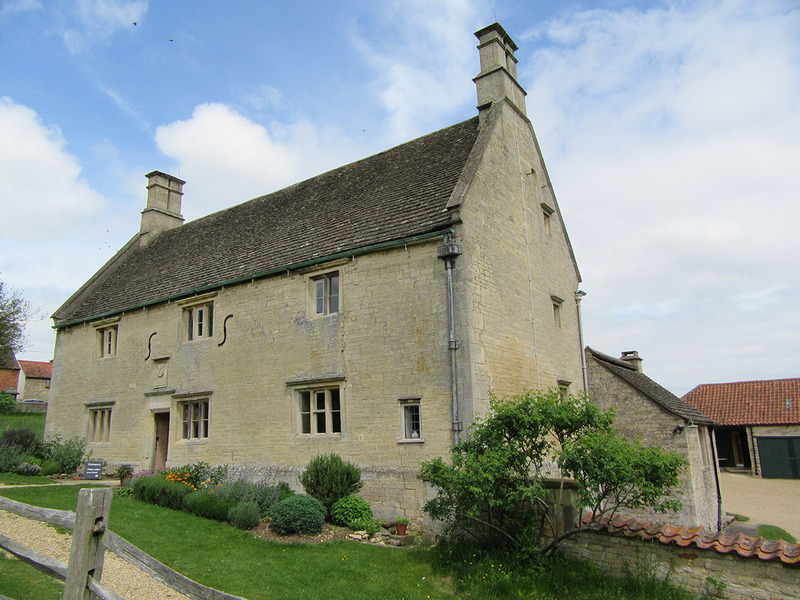 Probably the most influential scientist of all time, Isaac Newton was born at Woolsthorpe Manor on a cold Christmas Day in 1642 and was not expected to survive as he was so small. As he grew up, the young Newton showed little promise at first until Newton’s desire to succeed was driven by a fist fight with the school bully. He entered Trinity College at Cambridge in 1661 but returned back to Woolsthorpe Manor in 1665 when Cambridge University closed due to the threat of the Great Plaque. He made good use of his time off with a brief and concentrated period of observation and experimentation in his ‘year of wonders’ with significant contributions to physics inventing calculus to the bane of schoolkids everywhere, playing with optics to discover the nature of white light, motion and postulating the theory of gravity. All this when he was only 23 years old and England burning witches only 3 years earlier. 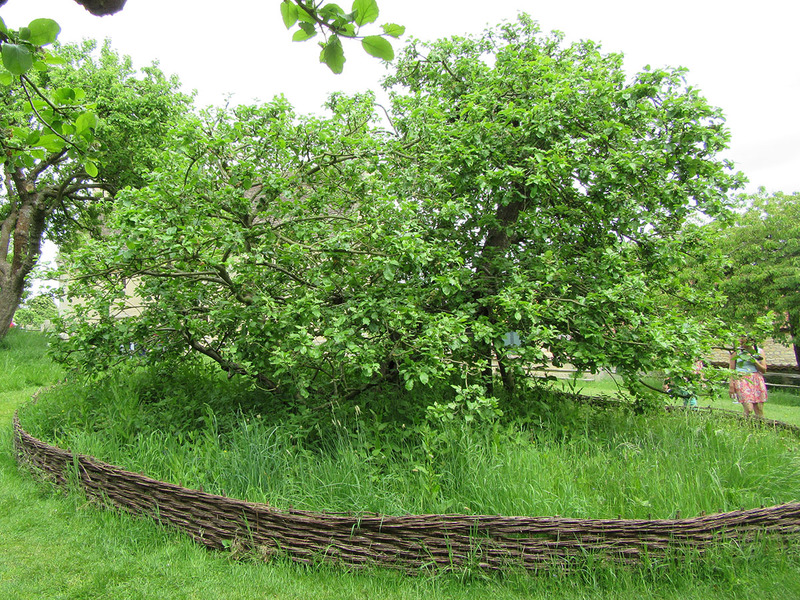 Woolsthorpe Manor – the home of gravity. As popular history would have us believe, there he was lying in his garden, underneath an apple tree, when an apple drops on his head. This must have knocked some brain cells together in the young Isaac Newton for he postulated that the same invisible force that caused the apple to fall to the ground, also kept the moon in orbit around the Earth. The same force that allows men to travel round the moon, slingshot probes around planets to reach even more distant planets is the same force that makes the strawberry jam from my scone at the visitor centre fall to the floor. Gravity is surely the strangest of the four fundamental forces of nature. It can command planets, stars and galaxies to move in space with its infinite range, yet is incredibly weak. Yet, that same force that makes you hit the ground if you jump from a tall building helps to turn you into jelly when it meets another fundamental force, electromagnetism, which keeps the atoms together in the pavement slab you’ve just hard landed onto and keeps your feet from falling through the floor. Remember that for every action there is an opposite and equal reaction…. Unless you tried to jump from a tall building in space because there is no up or down and you’d just keep floating off and no one could hear you scream as you die from decompression without a spacesuit. There are those with smarter brains than mine, which is quite a few, Albert Einstein, would say that gravity is not just a force but also an effect of the warping of space and time in the presence of mass. The very fabric of my shirt is now warping around the mass of my belly after stuffing my face with scones from the visitor centre. These smarter brains have also found gravity is also waving back. 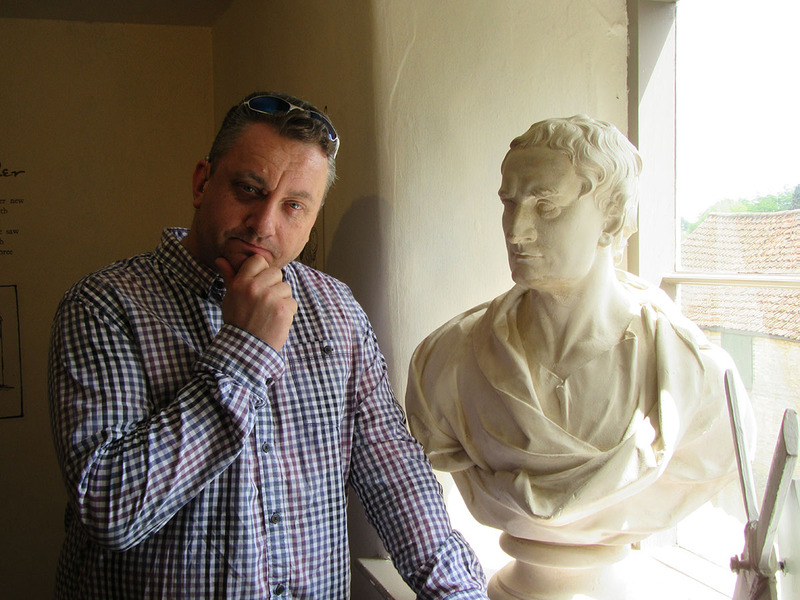 Genius and stark raving bonkers all rolled into one, Isaac Newton was also an alchemist and a politician, although speaking only once in Parliament demanding that a window be shut. He invented the reflecting telescope, which helps me to look at grey fuzzy objects in the sky from the comfort of my back garden using my own Newtonian telescope. He also stared at the sun for as long as he could to see what would happen, causing temporary blindness and took the school yard chant of ‘stick a knitting needle in my eye’ to a whole new level by actually sticking a knitting needle in his eye, again to see what would happen. At Woolsthorpe Manor, we get to visit all the major rooms in the house complete with period furniture and the room where he was born. 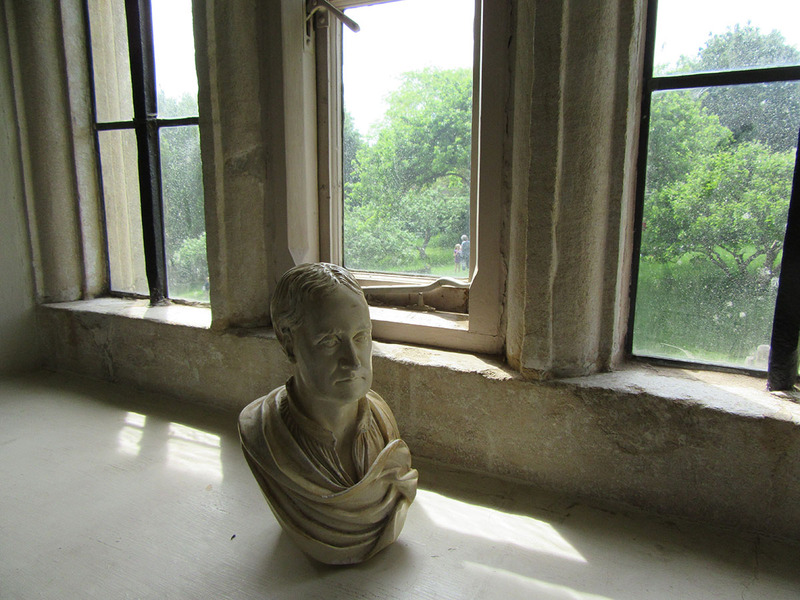 We also get to spend time in Newton’s bedroom study where he experimented and which overlooks the famous Flower of Kent apple tree that he saw and sparked his imagination. 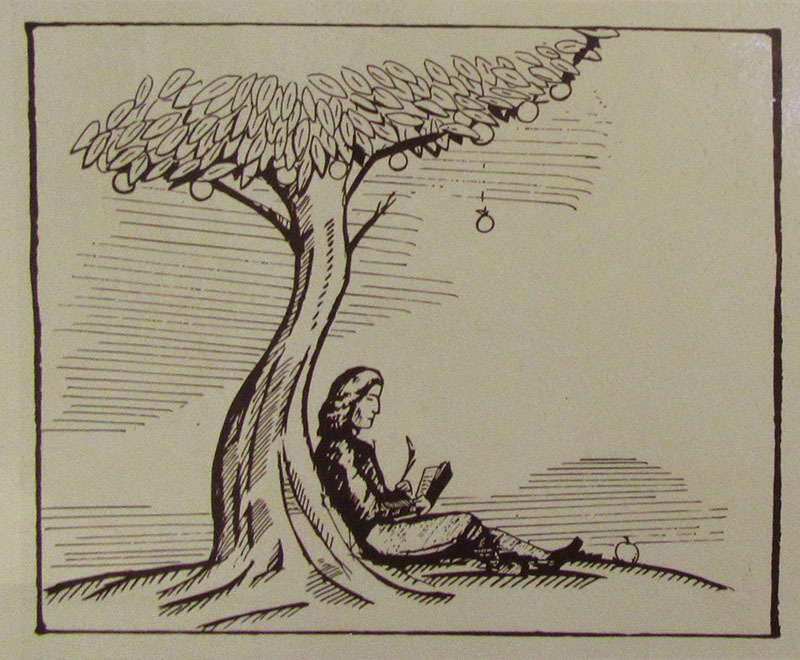 We sat in the garden by Newton’s Apple Tree on a sunny day in a contemplative mood unable to solve any great cosmic quandaries, probably because there aren’t any apples on trees at this time of year. Woolsthorpe Manor is manned by some fabulous and knowledgeable staff from the National Trust who have done a great job of promoting the place and its great to see their enthusiasm with visitors. Free parking and for those without an annual pass, will cost £7.50.